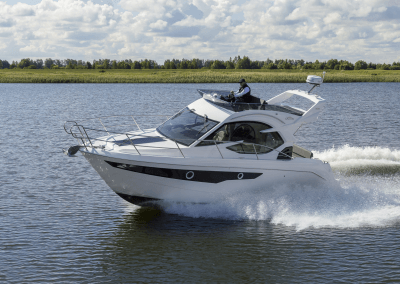 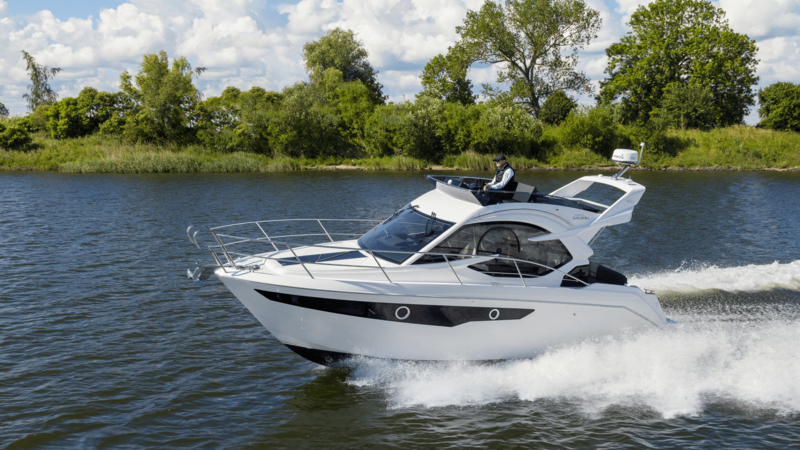 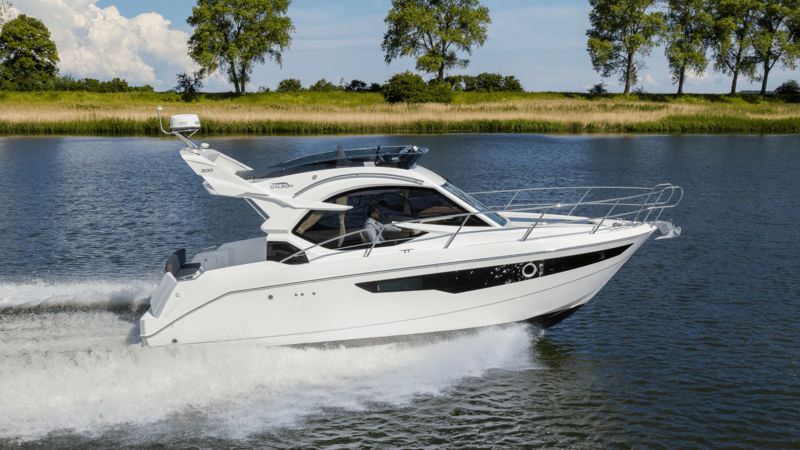 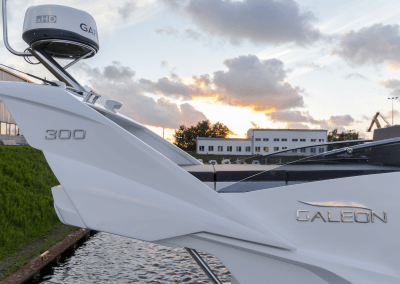 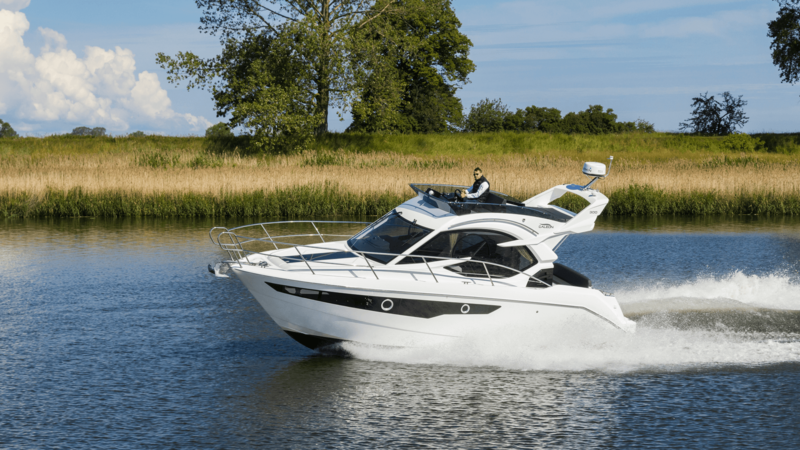 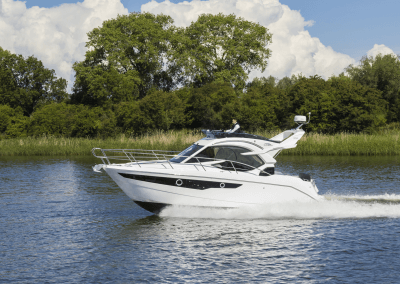 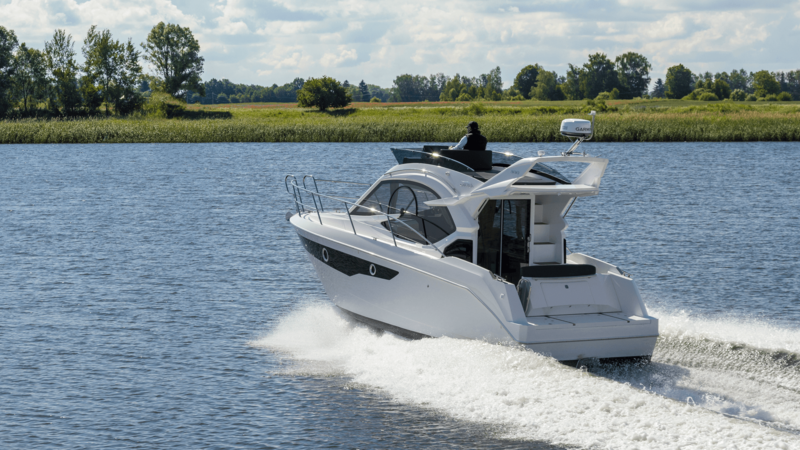 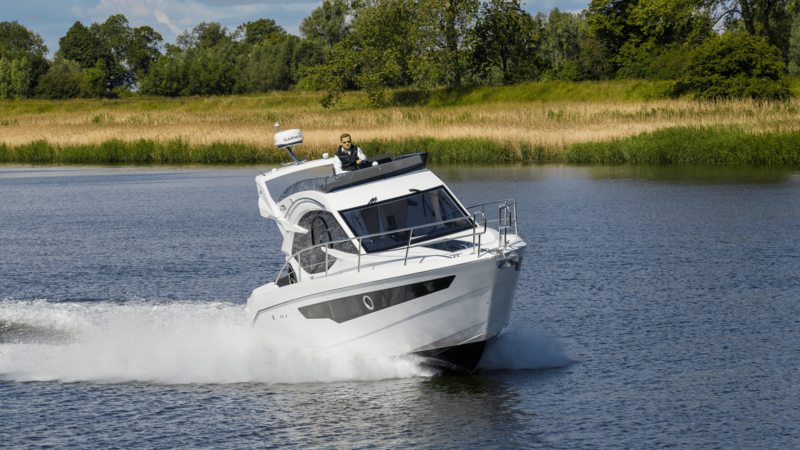 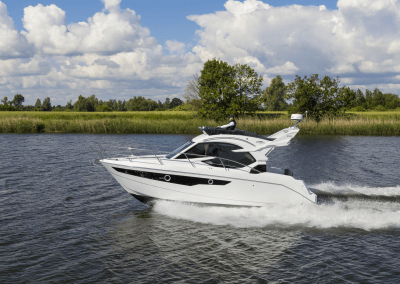 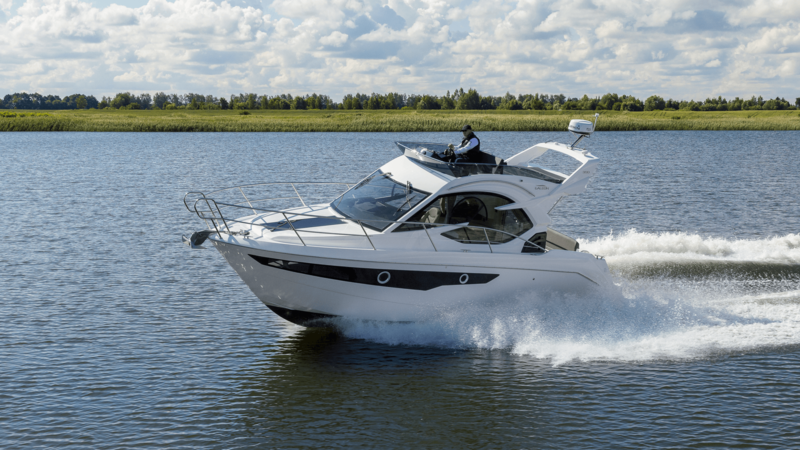 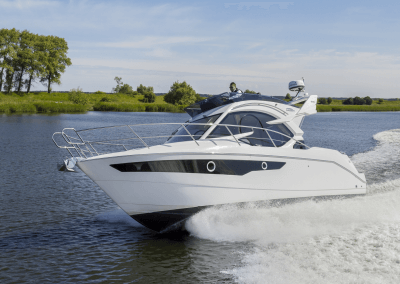 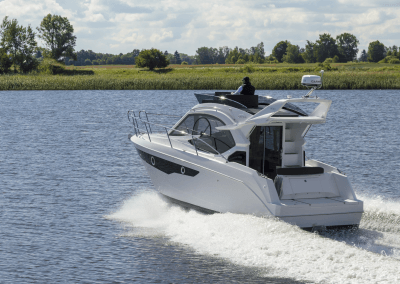 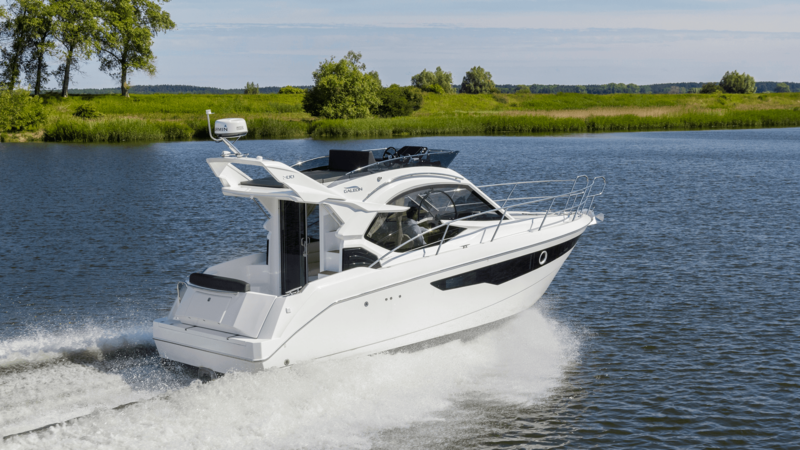 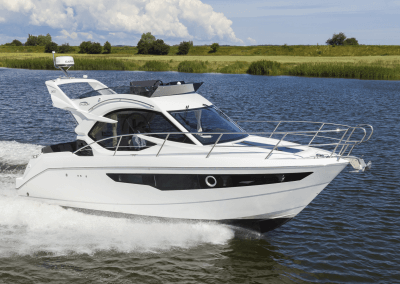 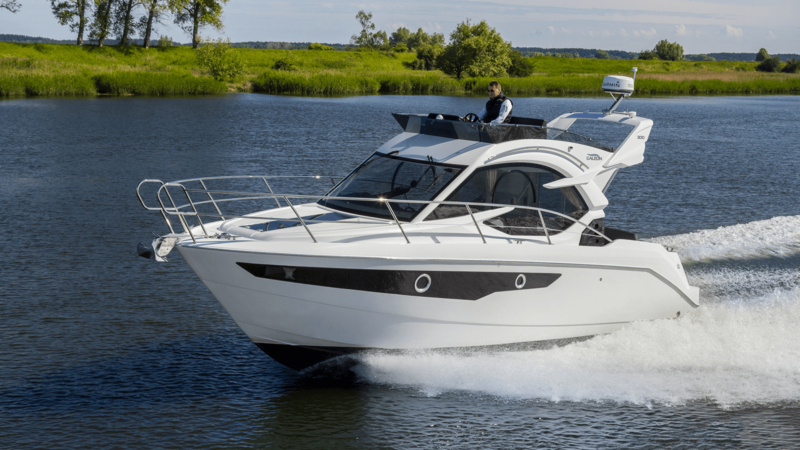 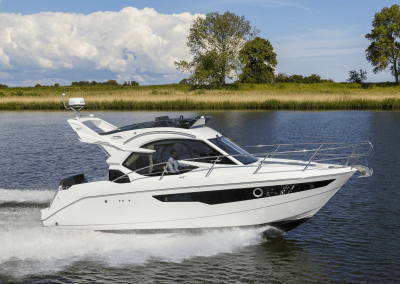 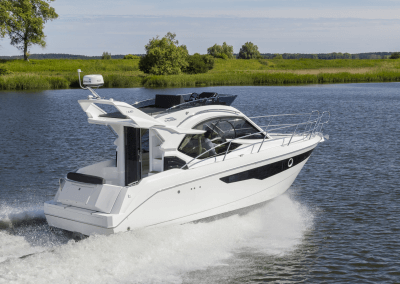 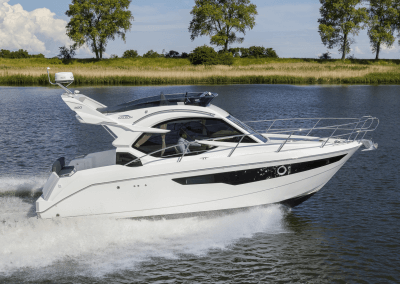 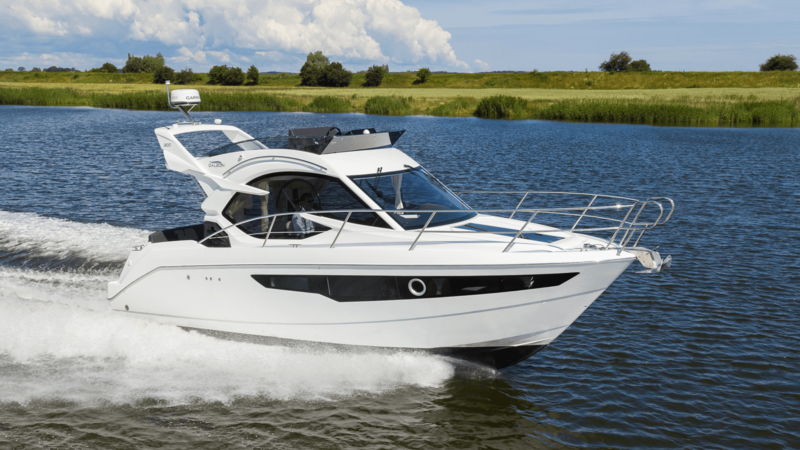 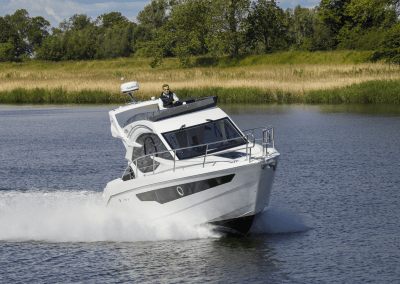 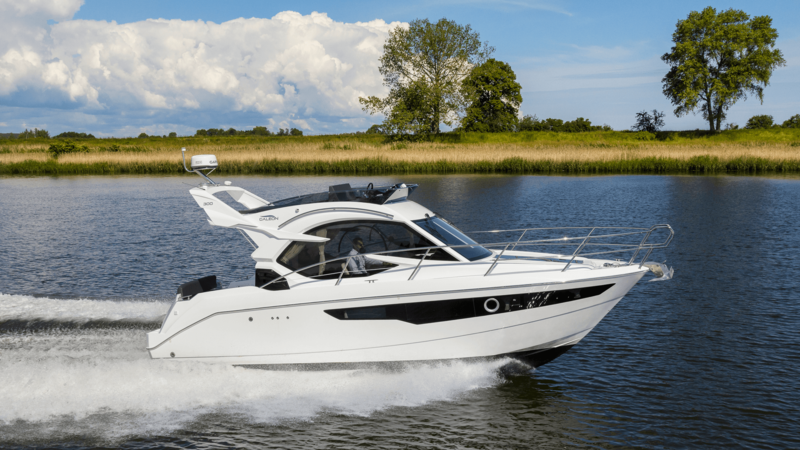 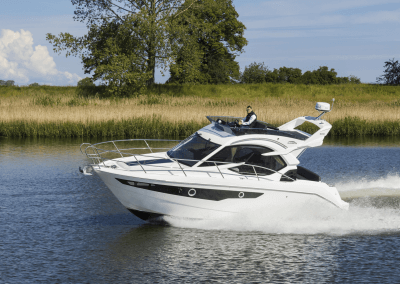 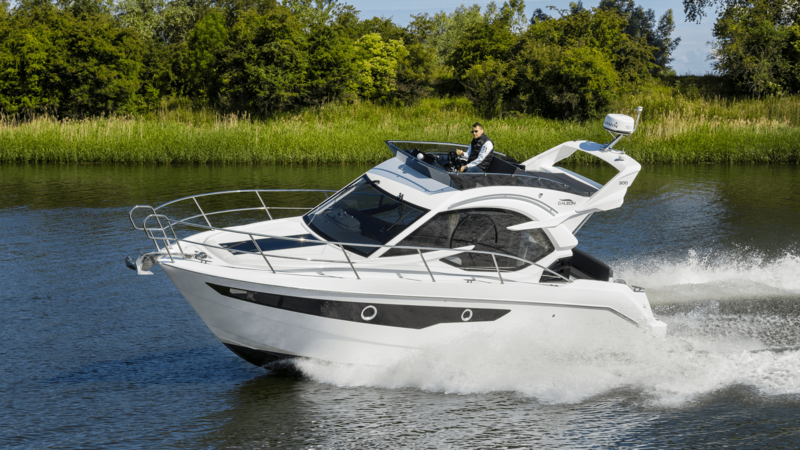 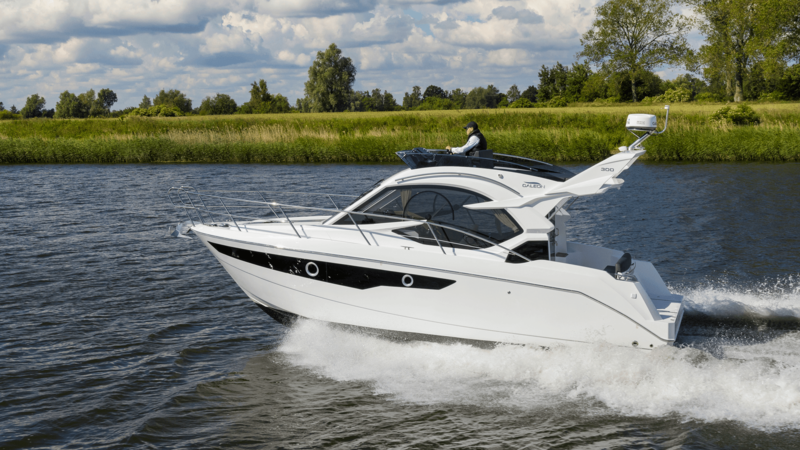 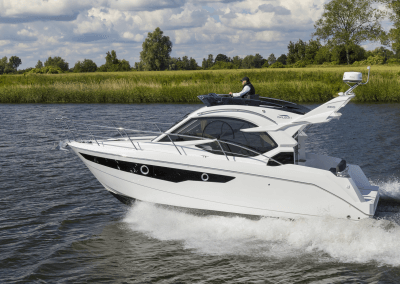 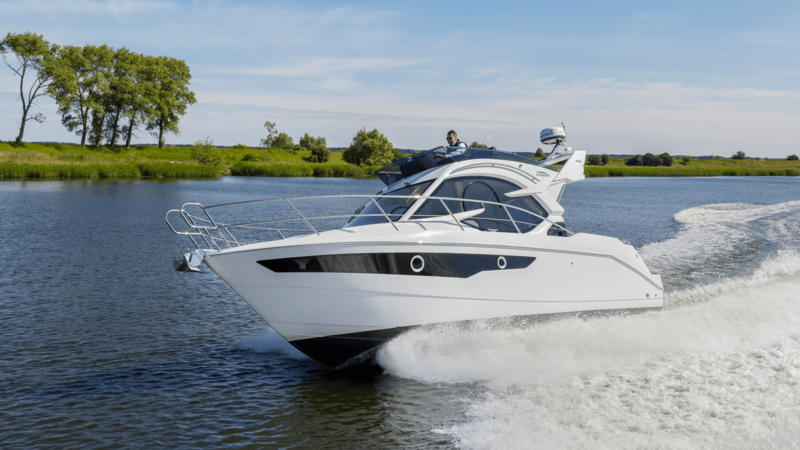 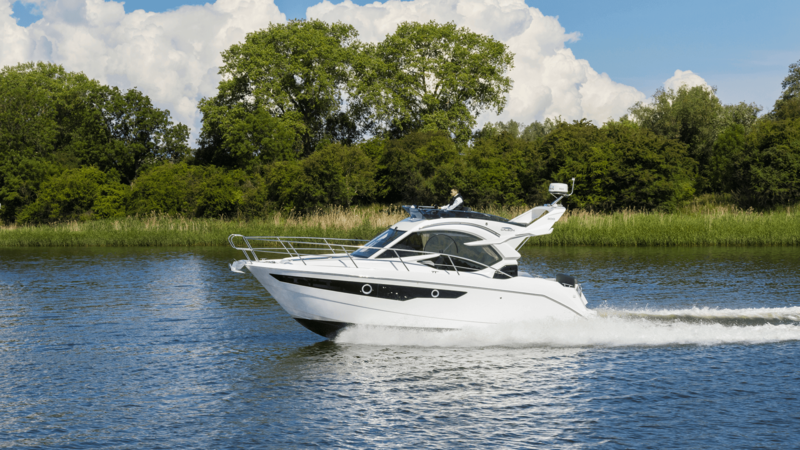 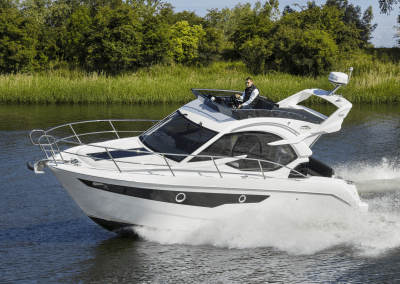 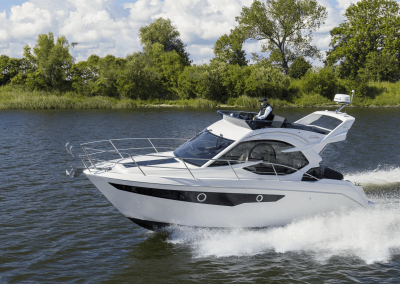 Galeon 300 FLY was designed from scratch to offer great handling and stability in all weather conditions despite its compact frame. 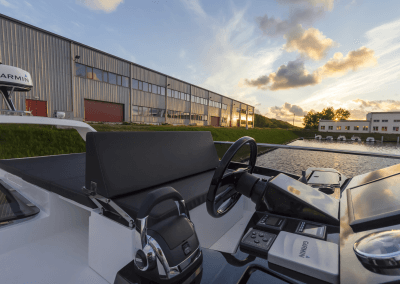 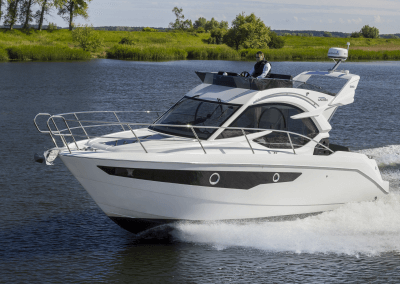 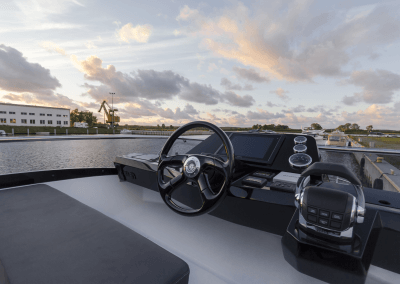 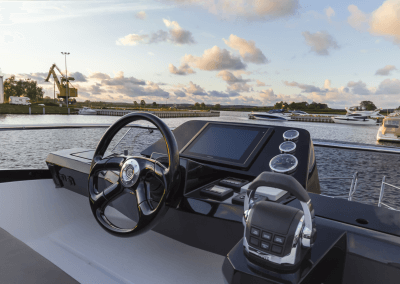 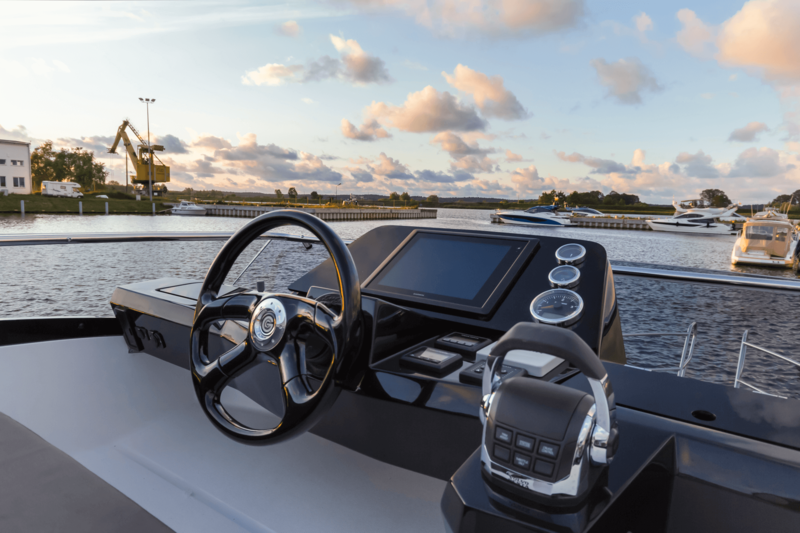 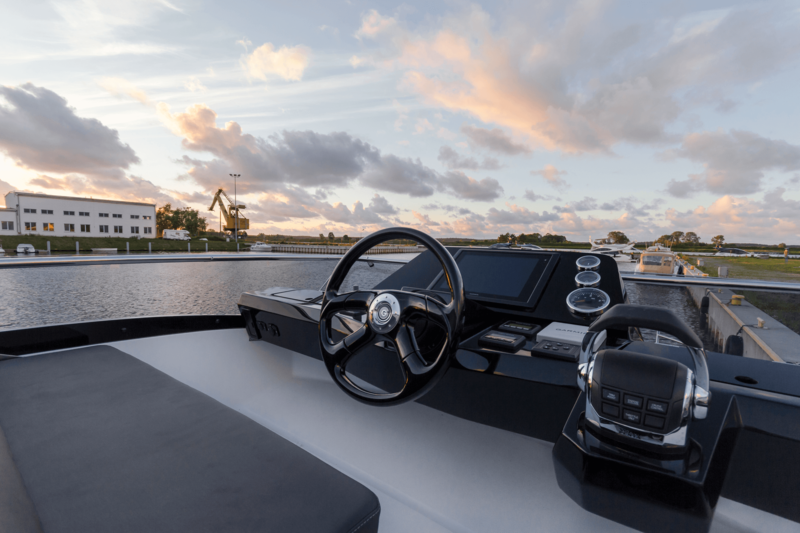 Both the hull and deck are made using the infusion technology which helps in minimizing the weight, enhancing the craft’s performance and fuel consumption. 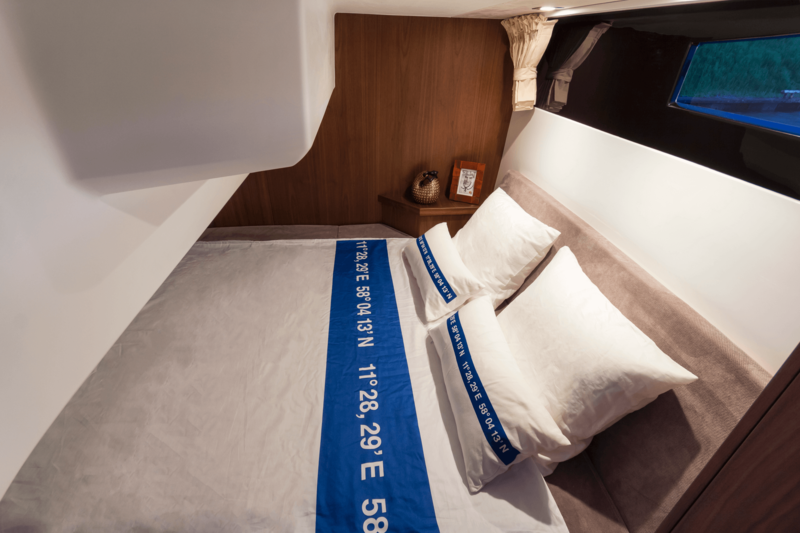 The passengers will surely make use of the conveniently planned cockpit which will be available with either a fixed bench or a fold-out seating – perfect for sunbathing. 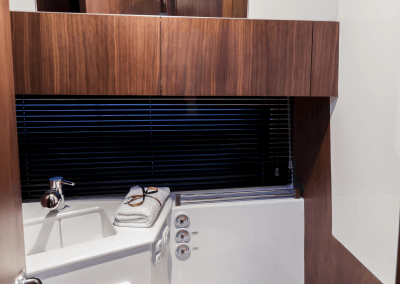 Select the extended bath platform for easy access from the stern. 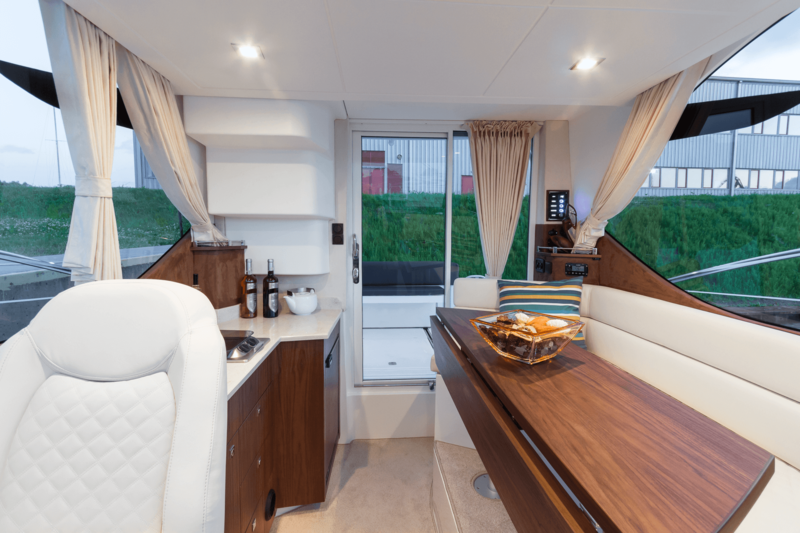 The main deck is occupied by a sizable dinette and opposite facing galley with the helm station moved forward. 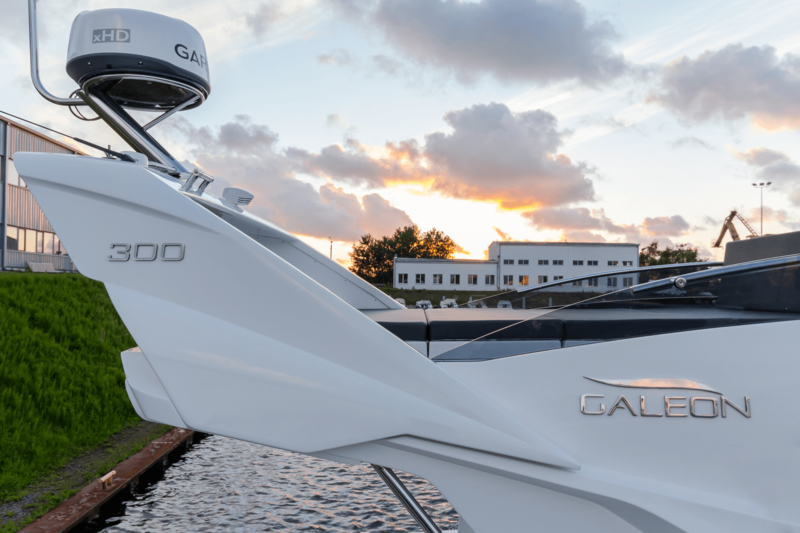 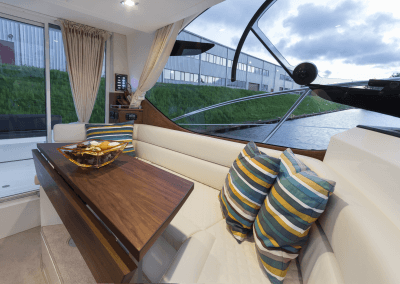 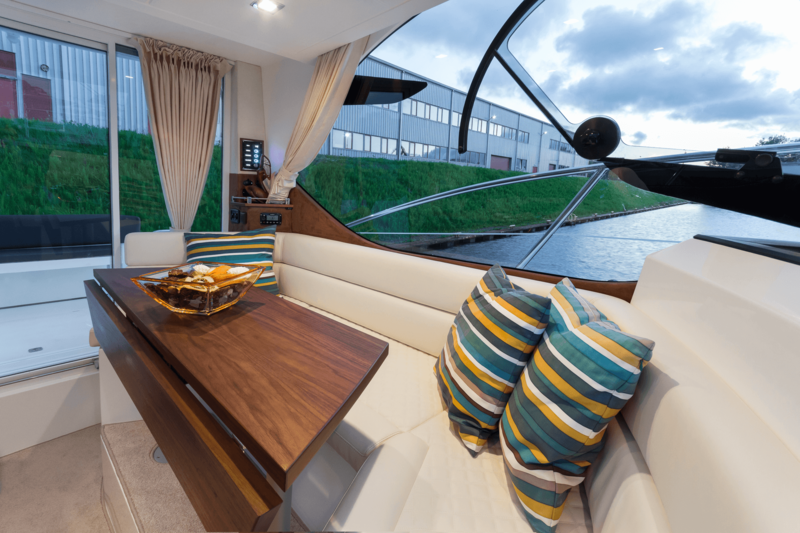 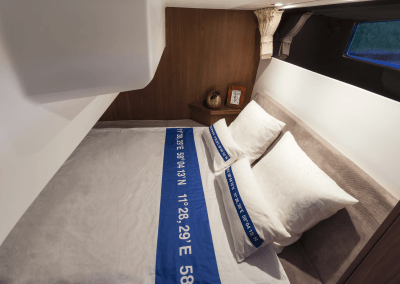 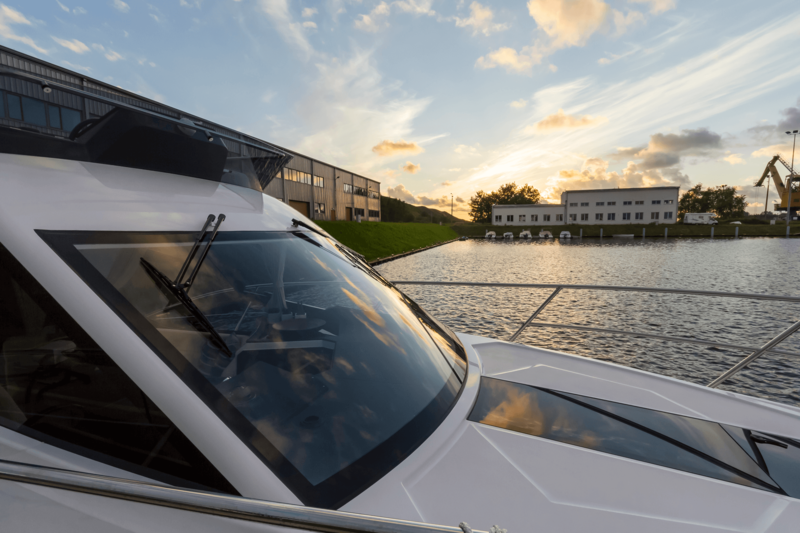 The dynamic exterior clearly follows the design trend outlined by the third generation of Galeon Yachts range with its broad windows and edgy features. 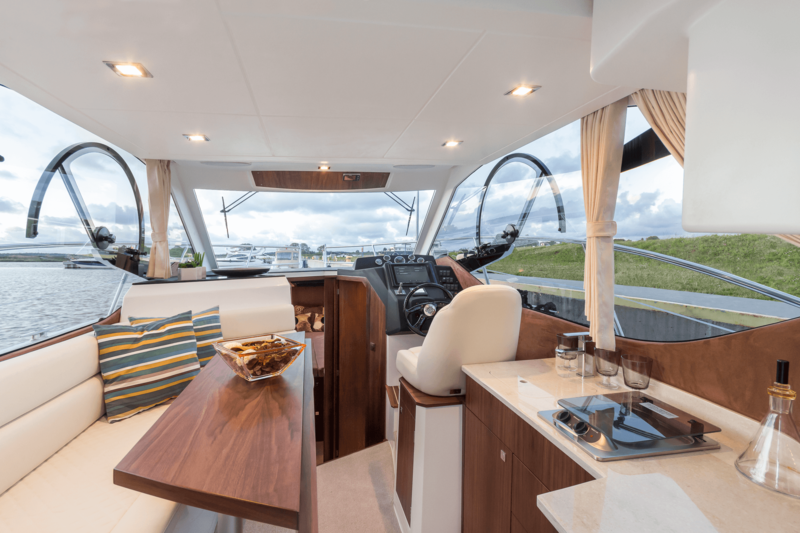 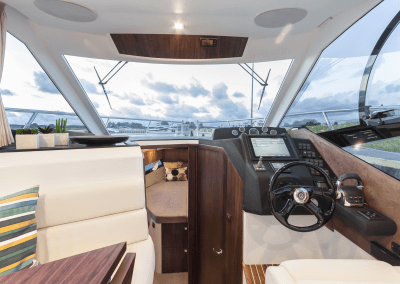 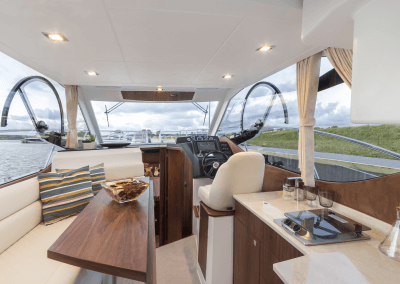 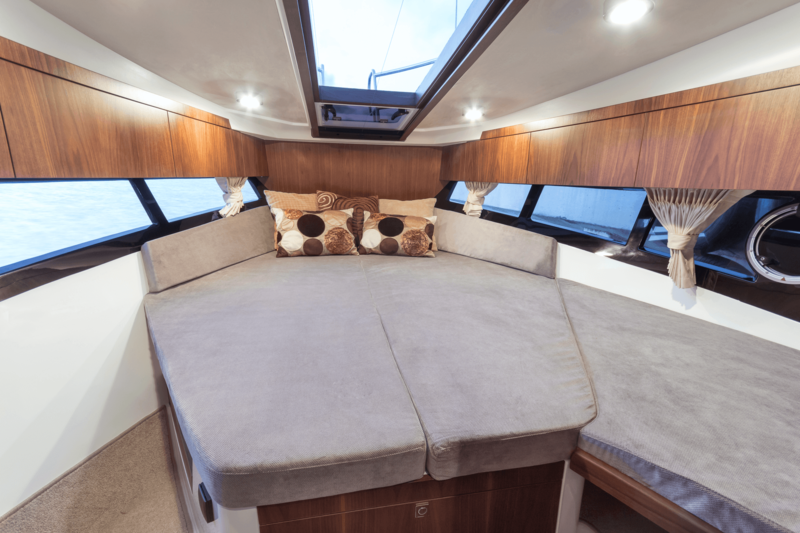 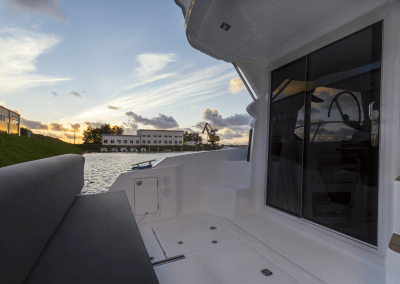 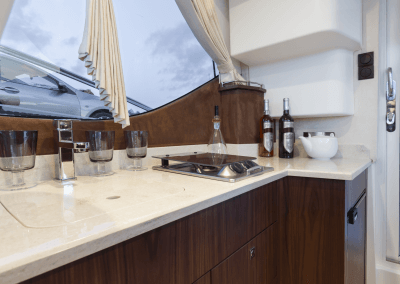 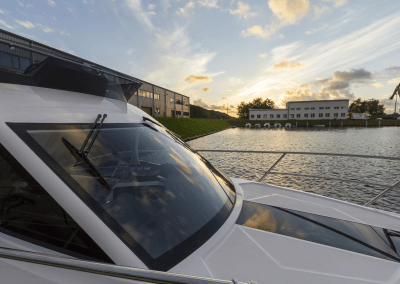 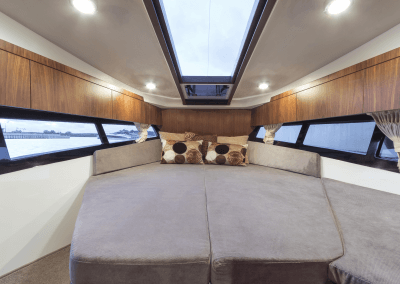 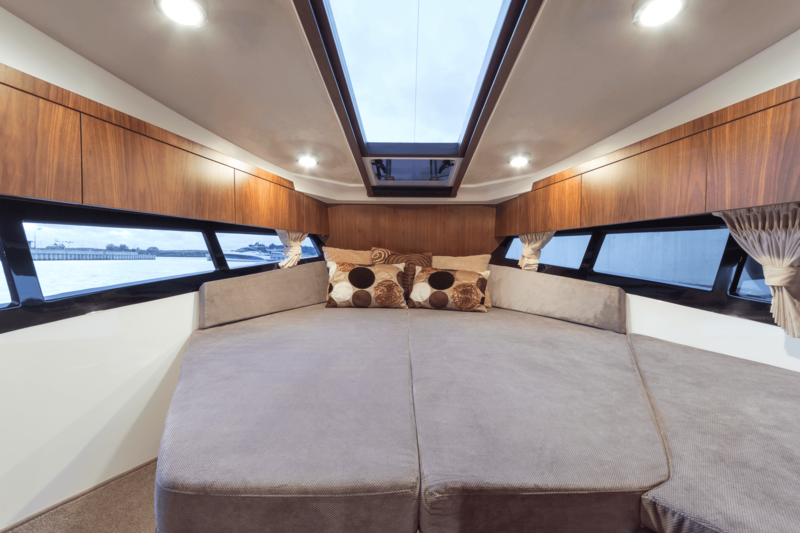 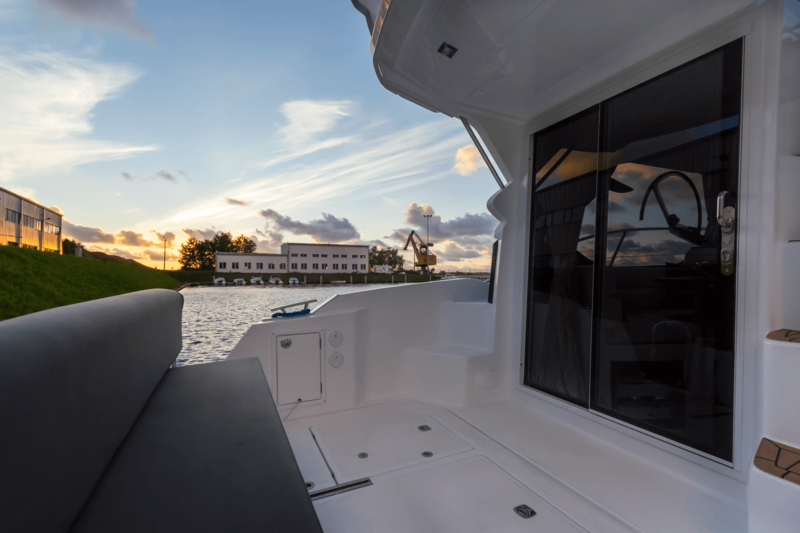 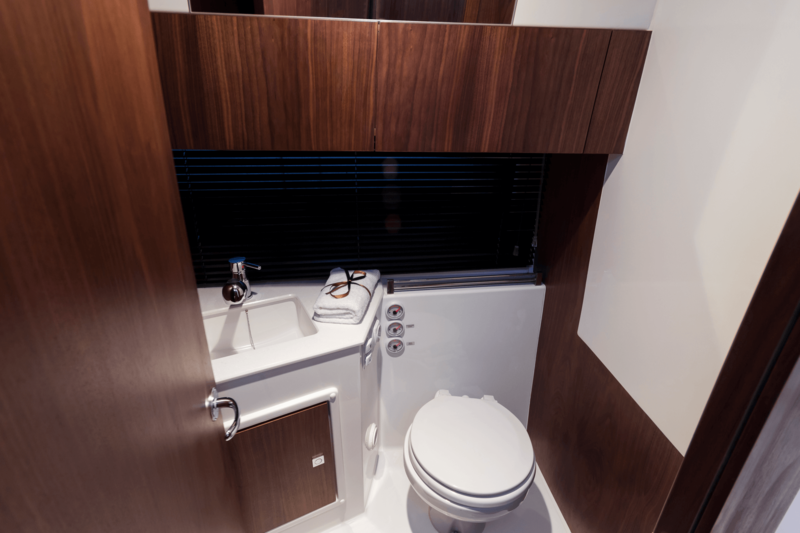 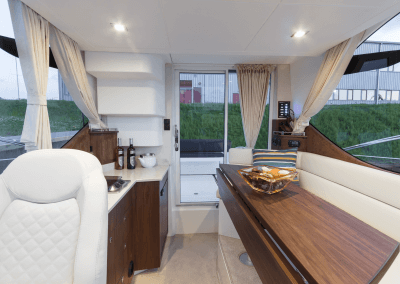 The top deck is easily accessed by the built-in, wide steps and features a steering station with a convertible bench that extends the large sundeck area even further. 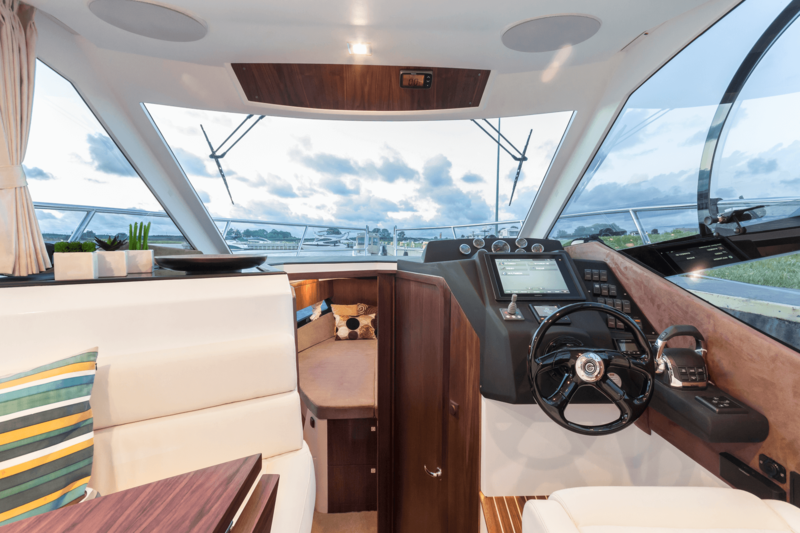 The interior finish will be available in various designs, including oak and walnut, with plenty of customization options at the client’s disposal. 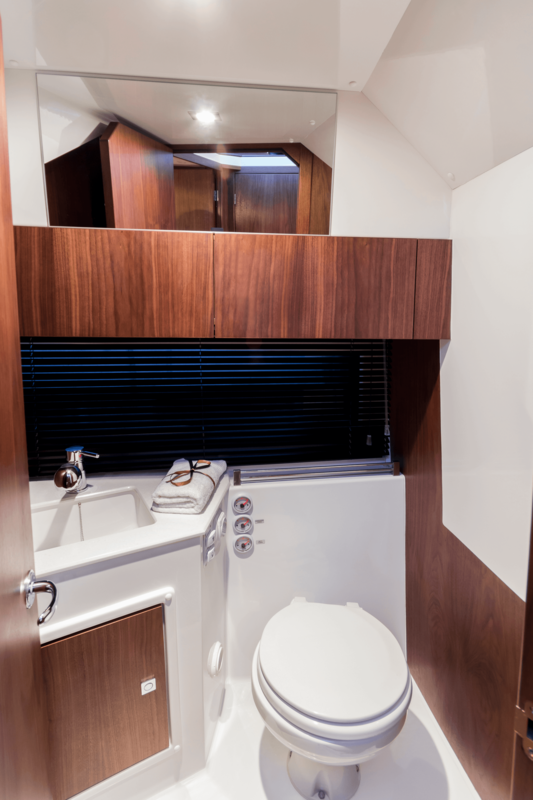 Down below, two double, standing height cabins and a bathroom complete with head and shower await the guests. 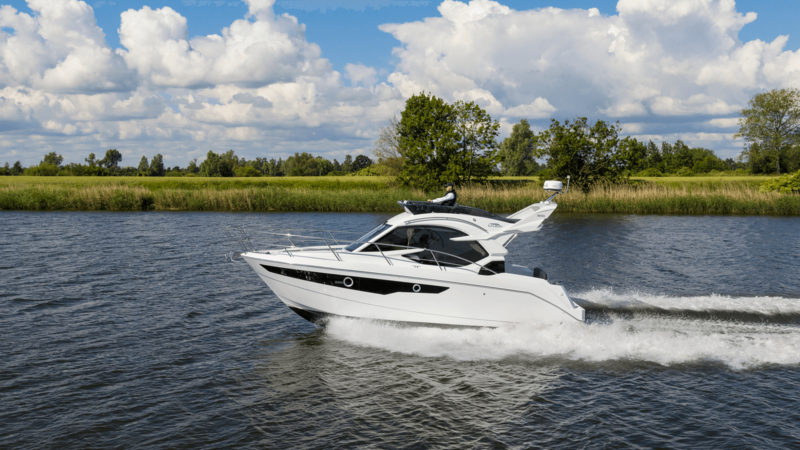 Both single and twin petrol or diesel engine installations are available.